To help bring persons will intellectual disabilities into the larger society under conditions whereby they are accepted, respected & given a chance to become productive citizens. Special Olympics athletes are divided to compete in categories based on gender, age, and ability level by a process called divisioning? All Special Olympics activities reflect the values, standards, traditions, ceremonies, and events embodied in the modern Olympic movement. These Olympic-type activities celebrate the moral and spiritual qualities of persons with intellectual disabilities so as to enhance their dignity and self-esteem. 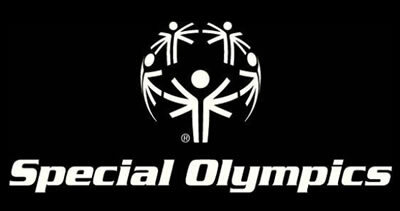 Individuals who compete in Special Olympics develop improved physical fitness and motor skills and greater self-confidence. They demonstrate courage and enthusiasm and build lasting friendships. These life skills enhance their ability to live normal productive lives. More than ever, Special Olympics athletes hold jobs, own homes, go to school and successfully handle life challenges on a daily basis. Special Olympics receives funding in support of the movement from individuals, corporations, foundations, government and restricted grants. The vast majority of funding received is from individuals. - That comprehensive, year-round sports training is available to every Special Olympics athlete, conducted by well-qualified coaches in accordance with the standardized Sports Rules formulated and adopted by Special Olympics, and that each athlete who participates in Special Olympics, trains in their sport. - That Special Olympics provides full participation for every athlete regardless of economic circumstance and conducts training and competition under the most favorable conditions possible, including facilities, administration, training, coaching, officiating and events. - Every Awards Ceremony offers traditional medals for first, second and third places, athletes finishing from fourth to last place are presented a suitable place ribbon. - That, to the greatest extent possible, Special Olympics activities involves community volunteers, from school and college-age individuals to senior citizens, in order to promote greater understanding of intellectual disabilities. - That, although Special Olympics is primarily a program of sports training and competition, efforts to offer athletes a full range of artistic, social and cultural experiences through activities. One of this activities is the FIt 5 Porgram. Fit 5 is a fitness resource that provides tips and information for athletes, parents, coaches, partners and other supporters to lead a healthy lifestyle through physical activity, nutrition, and hydration. The Fit 5 Guide is a FREE Download, please share this with athletes, coaches, families, EVERYONE! More than 1,500 coordinators, coaches, games volunteers, fundraising volunteers and committee members ensure the success of Special Olympics Wyoming. Skill • Courage • Sharing & Joy incorporates universal values that transcend all boundaries of geography, nationality, political philosophy, gender, age, race or religion.